I’ve visited Walt Disney World in Florida over 15 times, mainly with family. 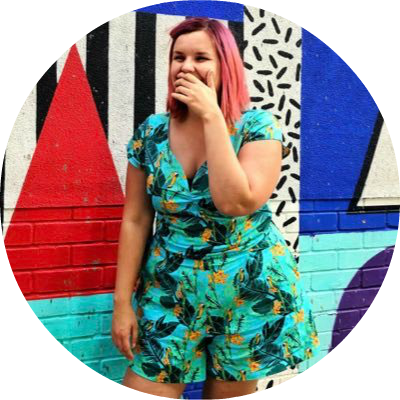 My mum is a Disney fiend so it was an essential part of my upbringing, and throughout the years I’ve stayed in a variety of different accommodation. 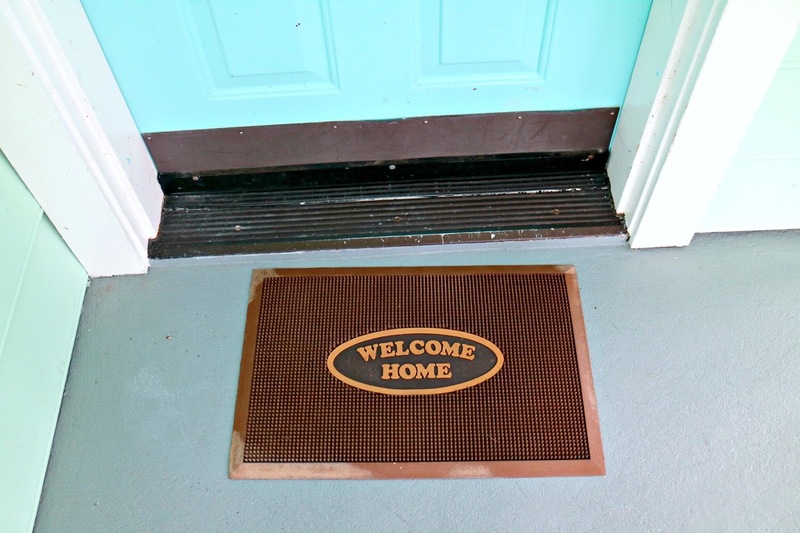 Usually when traveling with family we stay in a villa, but when traveling with an ex I stayed in a motel on International Drive to fit in with a strict budget. 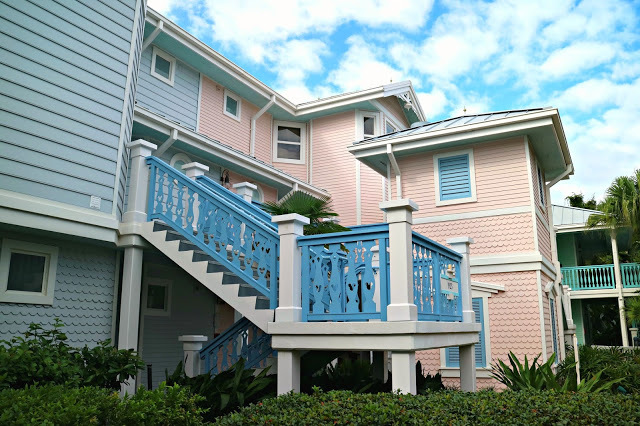 This most recent trip was the second time I have stayed on property at Disney World, and the first in one of Disney’s non-budget resorts. I thought I’d give you an overview of all the aspects of this resort so you can see if you think it’s worth it. 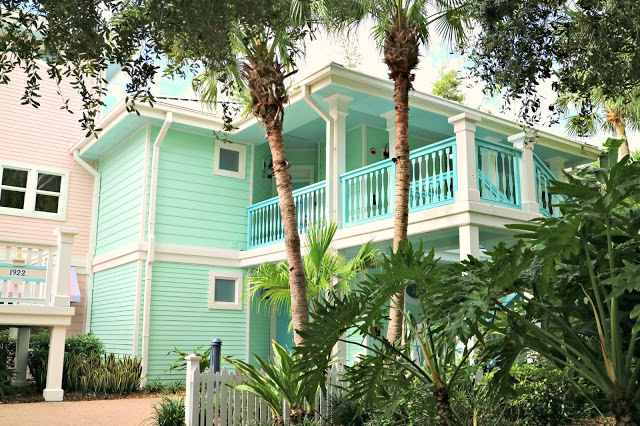 Old Key West Resort is themed on a romanticised version of the Florida Keys, shown through beautiful pastel shades that are so my aesthetic you would have think I’d designed it myself! 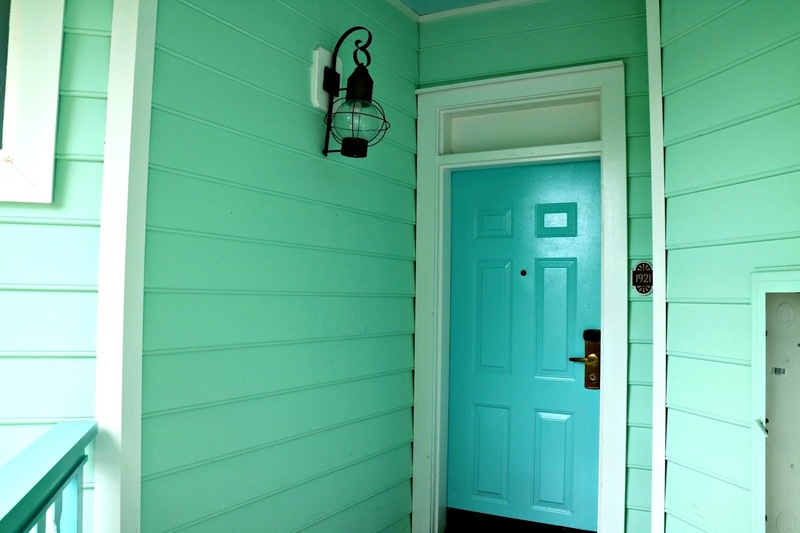 Each apartment has it’s own colour pallet with little rustic touches like striped balcony hangings and vintage style hanging lamps. 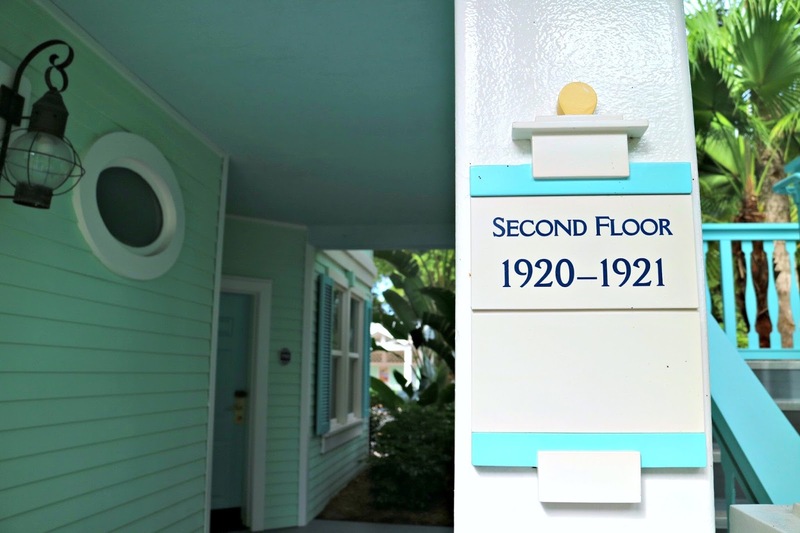 There are hidden Mickey’s within the woodwork of the balconies which adds a Disney touch to which could otherwise have passed for a deluxe hotel anywhere. The resort is surrounded by greenery, with palm trees everywhere making you feel like you are on your own private Island (if it wasn’t for the hordes of people!). It helps separate you from the outside world and feel really relaxed. This is further emphasised by the large lake that flows through the centre of the property, which runs right onto Lake Buena Vista, giving it a Floridian boardwalk feel. 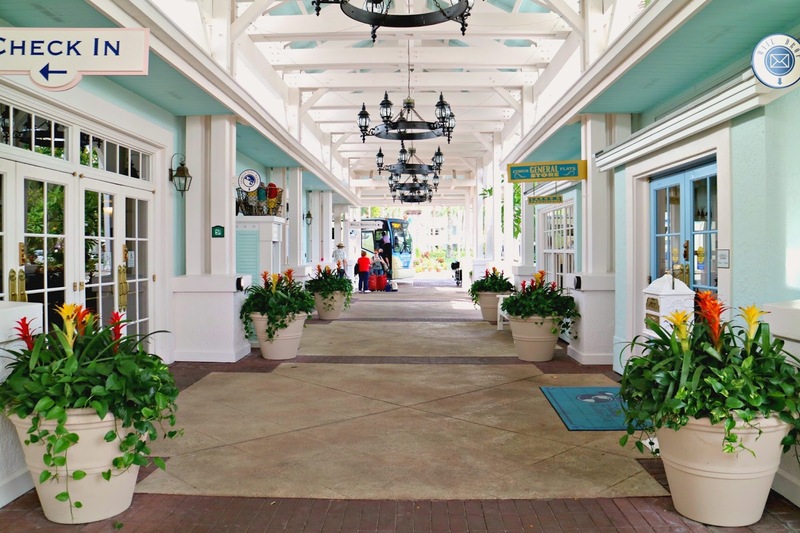 This shoreline style is further emphasised in the small details and signs throughout the property, with little touches like wooden promenades and hair wrap stalls adding to the feeling you aren’t on typical Disney property. 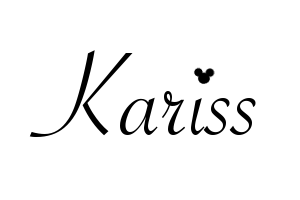 You could stay here, never attend a Disney park and be happy. The one main area of whimsy comes from the main swimming pool, where a water slide is disguised as a giant sandcastle, and the sauna a large brightly coloured lighthouse, but more on this later. We had a studio room which I shared with two other adults and one child. This studio consisted of two queen size beds, a balcony, a small kitchen complete with microwave, a small closet and a bathroom with a bath. This amount of space was pretty decent, in fact if we weren’t locked in for over 24 hours because of the huge hurricane it probably would have been fine. Spending that amount of time in there did leaving me climbing the walls but I think it would be hard to find a room that would leave me not feeling like that when you’re forced to sit inside for that long. Theming-wise the rooms are a bit of a letdown compared to the stunning exteriors. The rooms have some beach themed artwork but other than this they are fairly plain, they are also fairly dark which is a disappointment given the bright exterior. The balcony was big enough for two but no more, it had a table and chairs set up and an ok view of one of the smaller pools. The kitchen was adequate for breakfasts and quick meals, although we really struggled when spending 24 hours in the room because of the storm, but again this isn’t really what it is set up for. 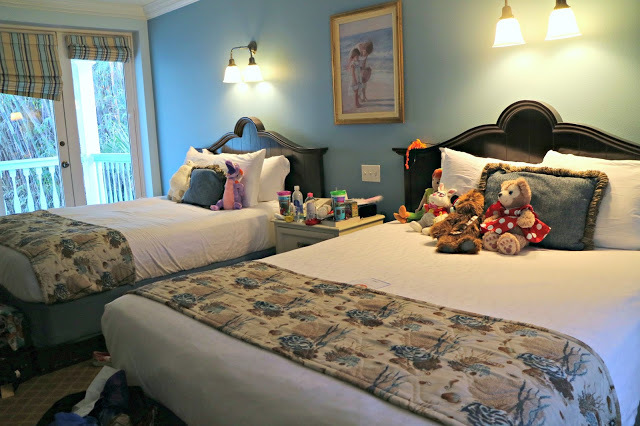 The bathroom is large and lighter than the other rooms, the bath was a nice edition and came with Disney bathroom products which were a nice touch. There is quite a lot of entertainment available at the resort, especially for little ones. There’s a schedule of children’s entertainment that can be anything from pool parties, to film showings, to story time. If you want something for the whole family you can find outdoor film showings and a campfire activities. It’s not the kind of thing you can just leave your child at all day but there’s enough to keep them occupied while you relax near by. There is also a games arcade with a few games available, but there aren’t many and you do have to pay to use them. The reception has a small tv set up with classic Disney cartoons playing, which is good to keep your kids occupied while you check in, and you can also indulge in some pin swapping here too. There’s a 24 hour gym on site but as I never even glanced at it so I can’t really comment on it, I like my vacations chilled! 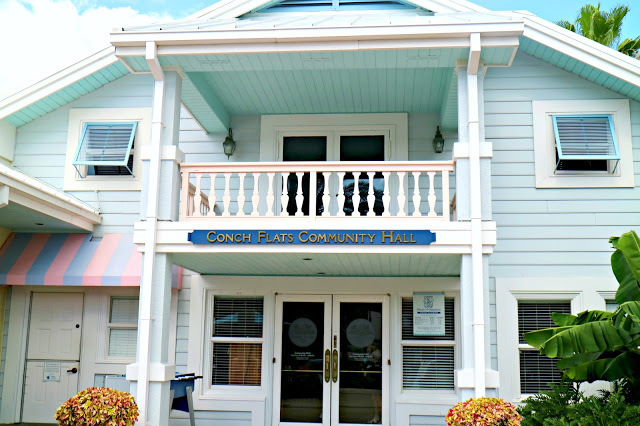 The Community Hall offers pool, ping pong and more and you can check out equipment to play bigger games like volleyball or football. You can also sign out DVD’s to watch in your room from here too which is an added bonus. In general this is a great resort if you want to do activities away from the park, it has lots of sports courts and it’s near by the golf courses, you can even hire a bike. 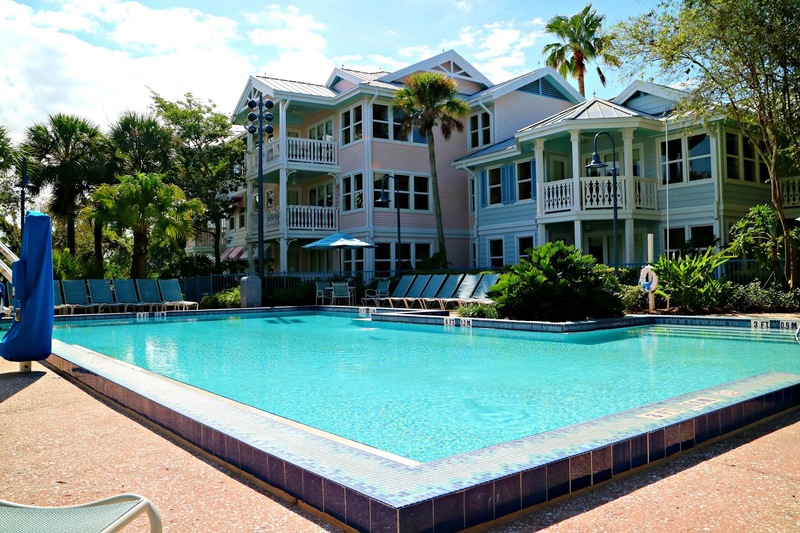 There are a variety of pools throughout the resort of which I used two. The one directly outside our apartment was a standard smaller pool, with towels and recliners available. It also has a hot tub which is a nice edition. The pool was generally quiet so it was great for relaxing, some days I had it all to myself which was very enjoyable. On the other end of the spectrum, the main pool is busy and great for children specifically. 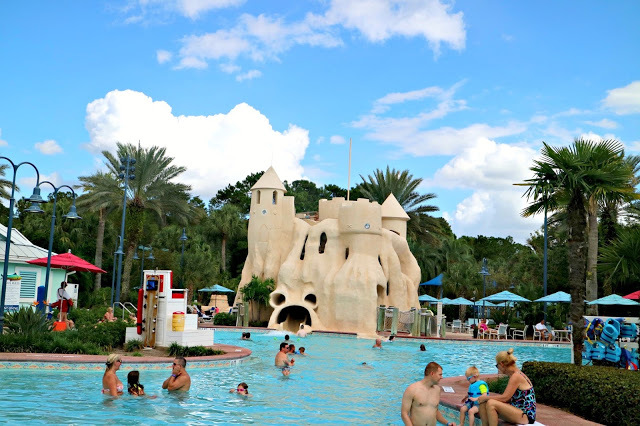 The stand out feature is the sandcastle shaped water slide, a draw to brave kids and playful adults a like. 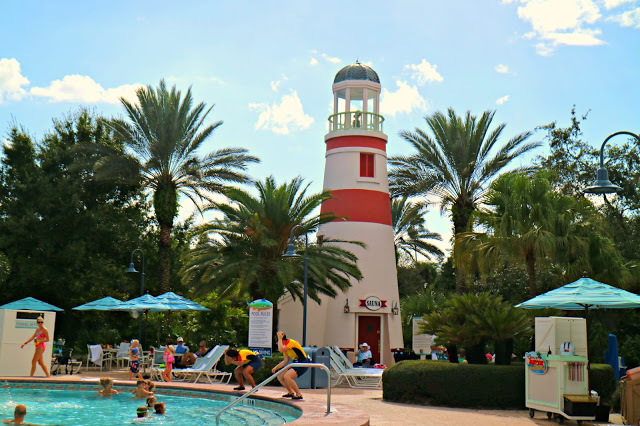 The pool here is less generic, and even has a lighthouse nearby that contains a sauna. The children’s pool is also a lot of fun and very popular, expect to find most of the children’s poolside entertainment happening here. Disney transport is pretty standard throughout, however Old Key West has a few extras. 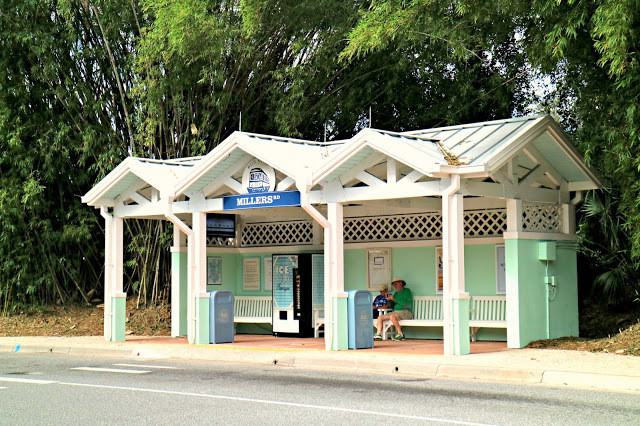 Starting with the ordinary, Old Key West benefits from both the Magical Express (a coach that picks you up at the airport and takes you to your resort) and Disney Bus Transportation that will take you to each of the four main parks and the Disney Springs shopping area. To get to other places, such as hotels or water parks, you will need to take a bus to one of the parks and take a bus from there onto your final destination. If you look online it will usually tell you the fastest way to do this. Busses run about every 20 minutes and can get pretty busy, especially at park opening or closing, so make sure you factor this in if you want to be there for rope drop in the morning. What is unique here is the edition of the boats. You can get on one from the large lake in the centre of the property that takes you to Disney Springs and back, which is a nice alternative to the bus, especially when you have been on them all week. The concierge also has a golf buggy which they can use to help deliver you and your luggage to your room. 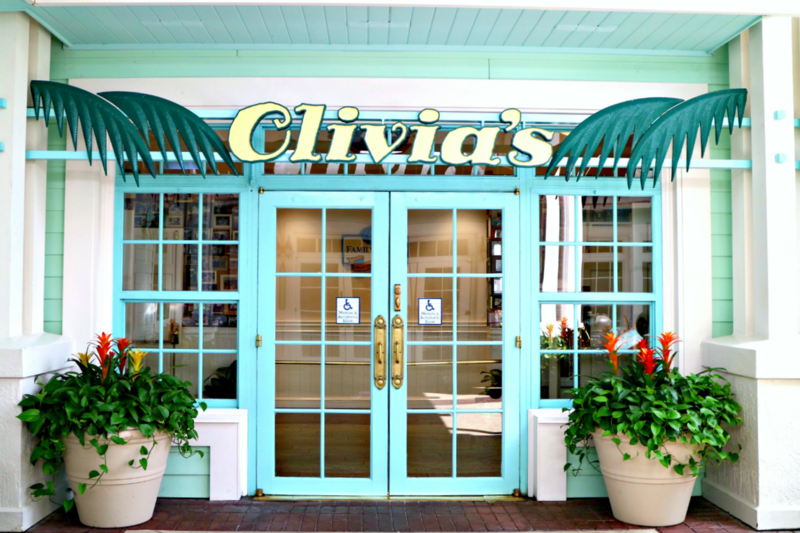 The main attraction food-wise is Olivia’s, a seafront style restaurant set in the main hub. I only ate here once when we were stuck after the storm, and the food wasn’t great but I can’t really give it a full review as they only had a partial menu on offer. I was disappointed that there wasn’t an outside seating area as it seems to be the perfect place for it, and the decor inside I found a bit drab. Near by there is a quick service location called Good’s Food to Go that supplies fast food throughout the day, I ate here a few times with my dining credits and it was actually pretty decent as far as fast food goes. It’s also the place where you can fill up your reusable cup if you are part of the dining plan. Next door you will find the Gurgling Suitcase Bar which although small, is a nice place to sit on an evening and have a cocktail or two, although it does shut rather early. Lastly there is one shop onsite which does stock some limited food options if you want to eat in your accommodation, such as cereal and pop tarts. 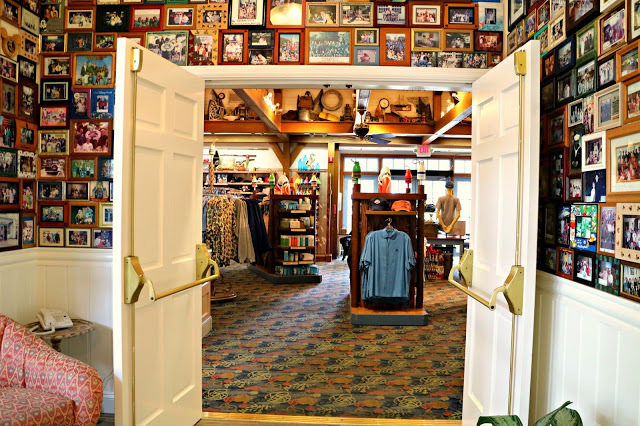 It does have a lot of snacks and a decent array of merchandise from across the four parks, as well as some that is specific to the resort. 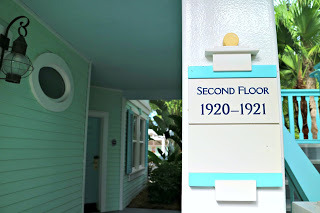 So there’s my round up of Disney’s Old Key West Resort. It’s a beautiful pastel heaven and a resort I’d definitely come back to. 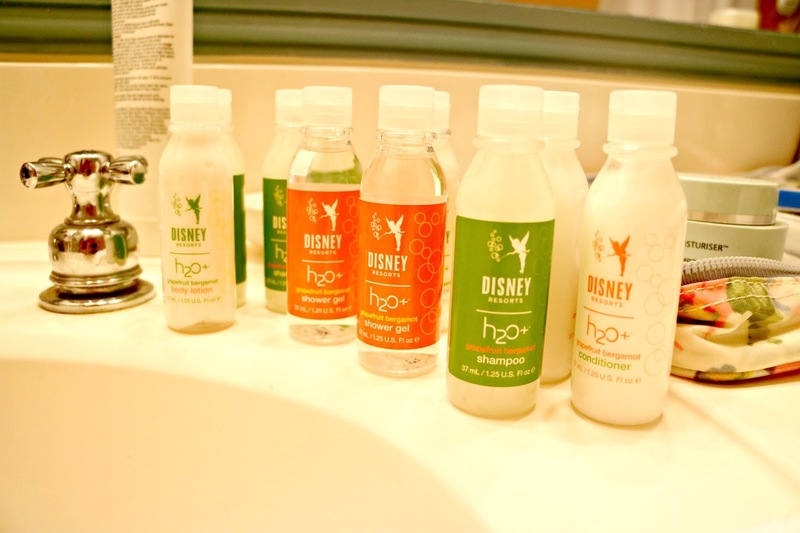 What’s your favourite Disney hotel?